Stepper motor testing/demonstration program using serial communicaions to the UNO. Demonstrates how how stepper motors are used in the UNO environment & comes with user's guide for further explanation. .. 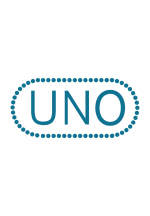 Simple obstacle avoidance program for use with UNO based robots. Uses the ultrasonic sensor to detect and avoid objects in front of it. Works with any UNO based robot with an unltrasonic sensor. Some of the program may need to be modified to operate with the given schematic. ..